Commercial Supply Distributors sells a wide range of intensive use residential and dormitory furniture to meet the needs of your facility. We focus on providing high quality, durable, heavy use furniture including desks, tables, chairs, wardrobes, sofas, beds, and more. We supply intensive use furniture from many major manufacturers – all known for their ability to produce commercial grade furniture to withstand heavy, intensive use with maximum strength and durability. Below is a sampling of Commercial Supply Distributors intensive use residential and dormitory furniture. 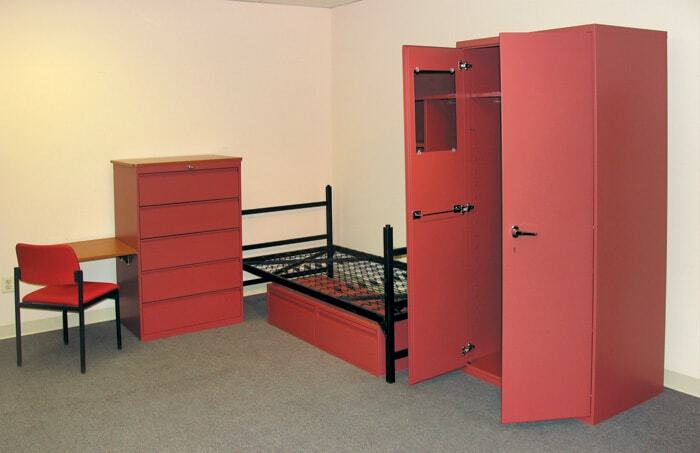 We provide a complete range of residential and dormitory furniture that will meet your demanding space requirements and provide you with an attractive and modern design. 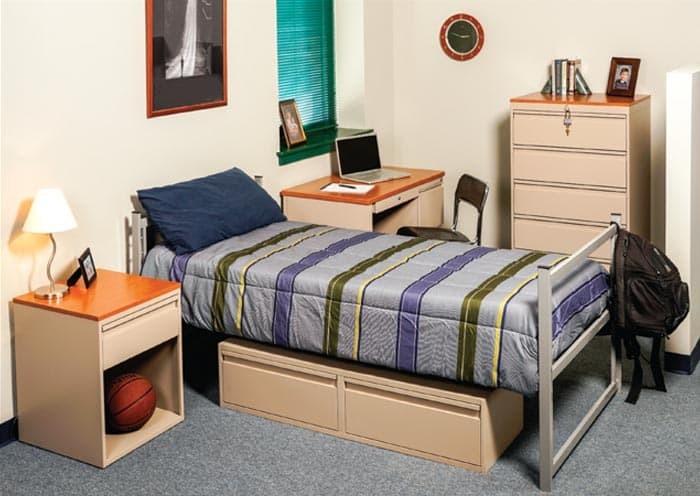 Many of our residential and dormitory furniture items are in stock and available for immediate shipment. Our heavy duty metal bunks beds, single beds, metal chests, nightstands, and wardrobes offer durability combined with an attractive modern design. Built with both functionality and style in mind, the metal chests, night stands, and wardrobes have reinforced side panels and textured Sherwin Williams water-based paint with more than 30 colors options available. Download the Furniture Color Selection chart for availability. Gold Series Heavy Duty, Commercial Grade Metal Furniture – IN STOCK! Adjustable Spring Base Bracket – The adjustable spring base allows any bed to be used as a 75″ or 80″ XL bed with no additional hardware.